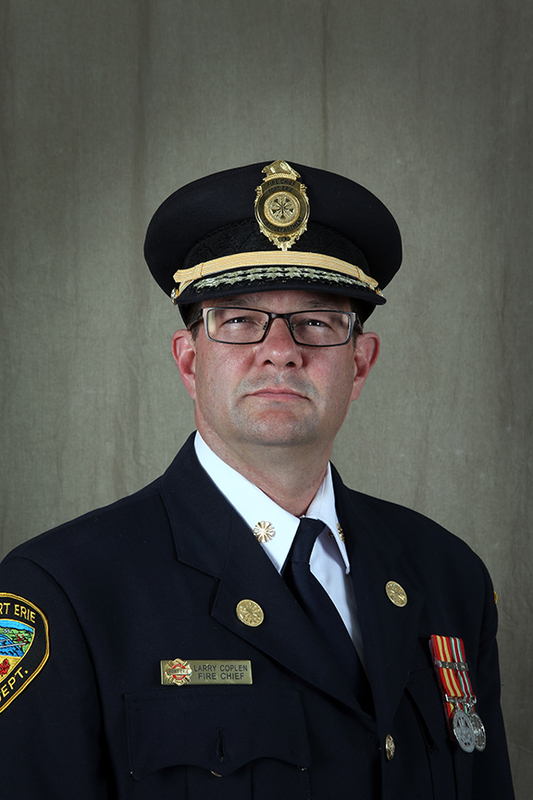 Media Release (Dec. 13, 2016): After seven years of service with The Town of Fort Erie, today is Fire Chief Larry Coplen’s last day of employment. Coplen became Fort Erie’s Fire Chief and Community Emergency Management Coordinator in August 2009. He began his career as a volunteer firefighter and worked his way up through the ranks to become Fire Chief for the City of Thorold in 2004. Since coming to the Town, Coplen has taken on key roles in regional and cross-border emergency management issues, expanded the Public Education program and oversaw the construction of the Central Fire Station. The process to recruit a replacement begins immediately. Deputy Fire Chief Keith German will serve as Interim Fire Chief in the meantime.